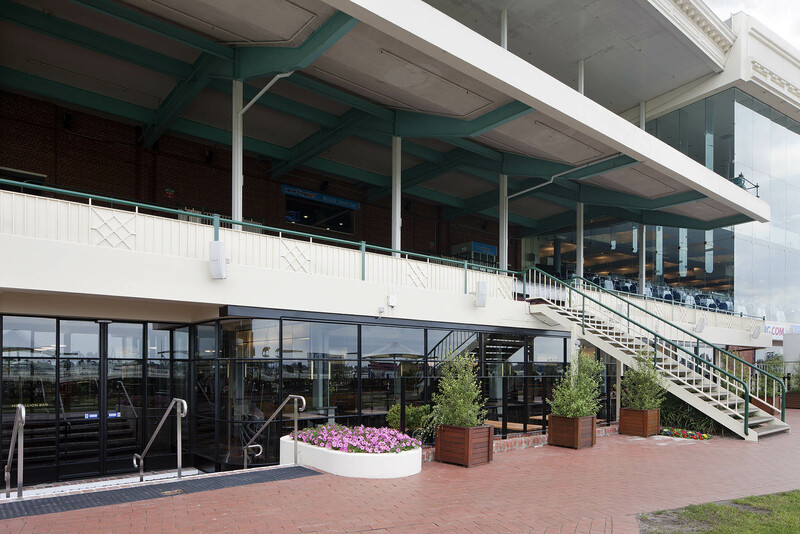 Caulfield Racecourse has been part of the Australian Horse Racing fabric since 1859. 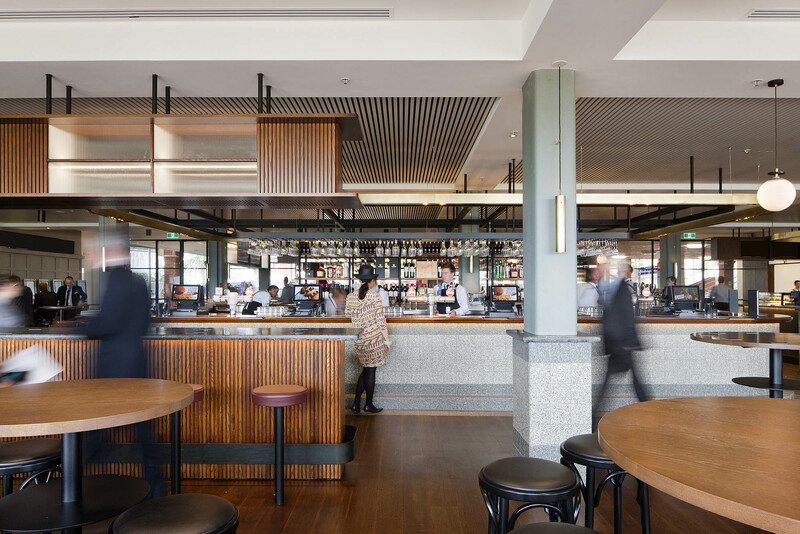 With Spring Carnival fast approaching, the members' bar upgrade provided a fantastic opportunity for Melbourne Racing Club's committee to showcase their commitment to providing a premium destination for major sporting events, primarily for members on race day. 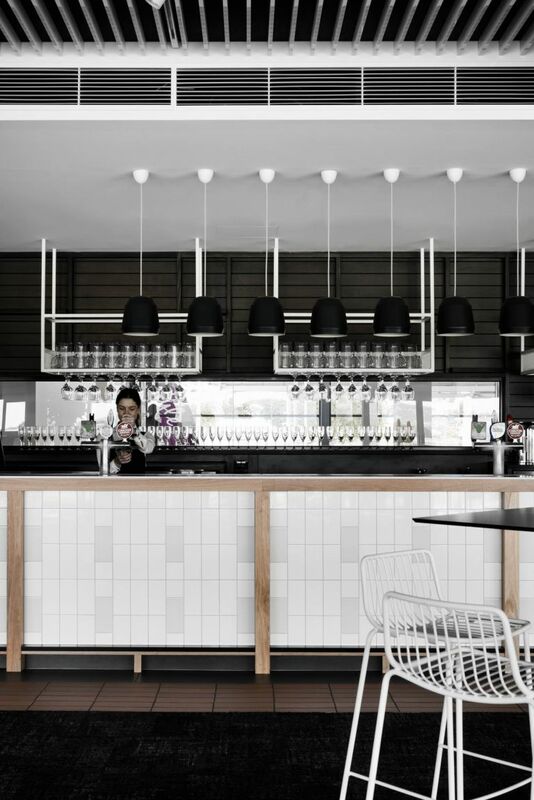 Focussing on the deep history of the bar and surrounding grandstand, the design brief from Technē Architecture + Interior Design was to feature a traditional bar while reaching out to a broader demographic. 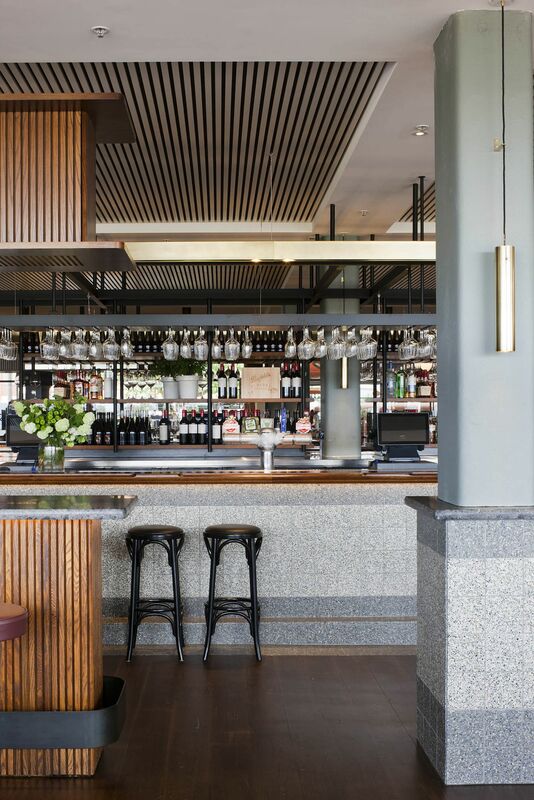 This meant creating a modern yet timeless appeal that drew reference to the classic Art Deco Australian 'front bar'. Schiavello Construction VIC was entrusted to provide new external structural work to achieve this. The large windows were removed, extending the interior space. Then concrete columns were constructed to support the grandstand above. Internally, the space was shelled; flooring was re-supported, entrance points consolidated for easier flow to the members' lawn and curved glazing replaced to enhance views to the finish line. A fully functional commercial kitchen was installed, a new centrepiece island bar created, and various seating arrangements for both sitting and standing patrons. Large quantities of televisions were also integrated into joinery units to reduce visual impact. Away from the buzz of the track and focus is drawn to the undeniable Art Deco influences. 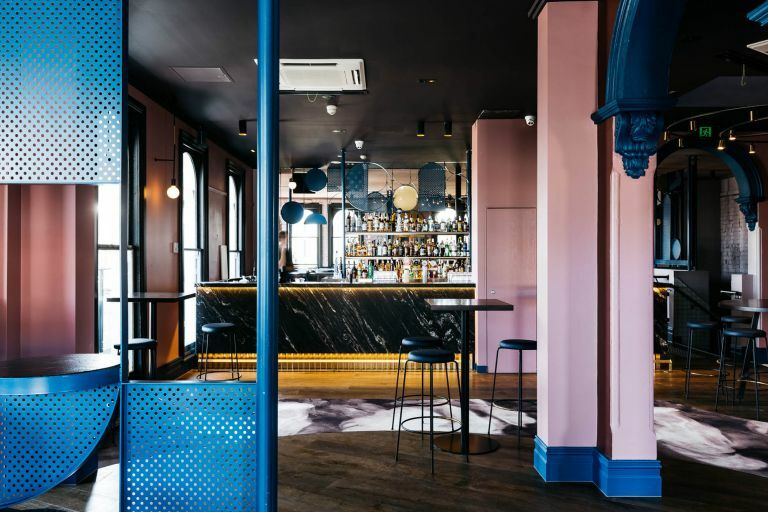 Dark routed oak panelling adorns the bar, expansive earthly detailed terrazzo wall and floor tiling, and a feature 120kg brass light fitting all seamlessly pay homage. This carries externally into two outdoor spaces where Tallowwood timber decking features. Working in a facility that constantly hosted events had its challenges during the 10-week programme. Noise restrictions were taken into account, and the removal of large windows also meant exposure to winter elements; increasing the chances of potential delays. However, the construction programme had accounted for suspension days - all risks reduced through first-class project management and a collaborative approach with Melbourne Racing Club and architect Technē. While remaining true to the design intent and high-quality standards of this project, the biggest achievement was delivering a 17% reduction on the initial tender price. Integral to this was the re-tendering of key trades and sourcing alternate materials and equipment including laminate slat ceilings and kitchen goods. 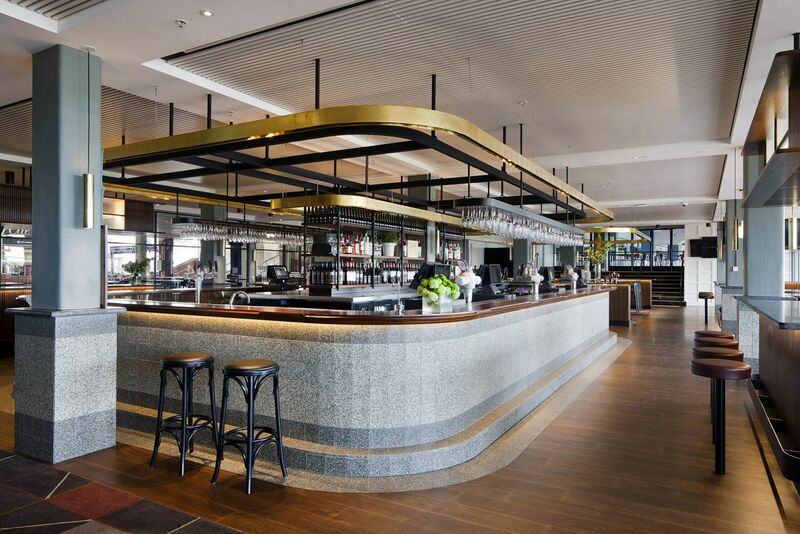 Brodie Arnhold, Chief Executive of Melbourne Racing Club, has been encouraged by feedback from Caulfield customers, "we've had a lot of very positive feedback from our members at Caulfield who are thrilled with the result of the fantastic redevelopment in the Medallion Bar. This is particularly important to us as the Club is committed to providing our members with first-class facilities to enjoy the best sporting entertainment." 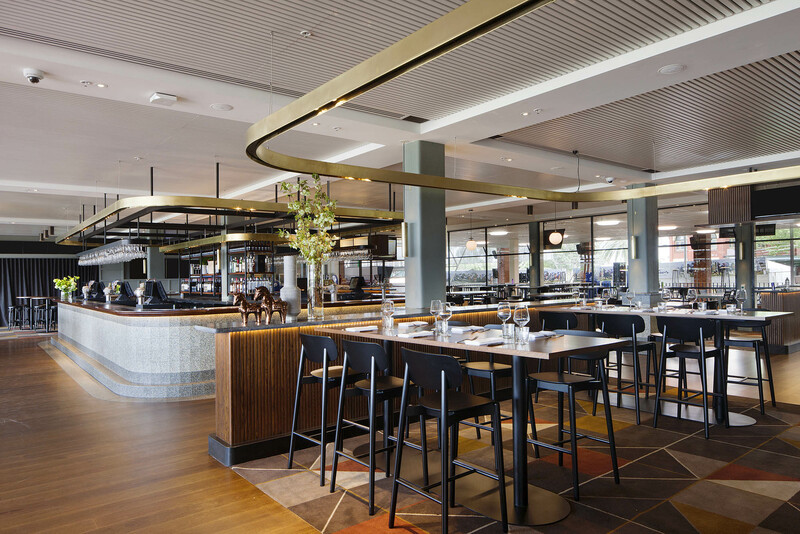 The Medallion Bar upgrade at Caulfield Racecourse is now a timeless addition that can be enjoyed by many for years to come. 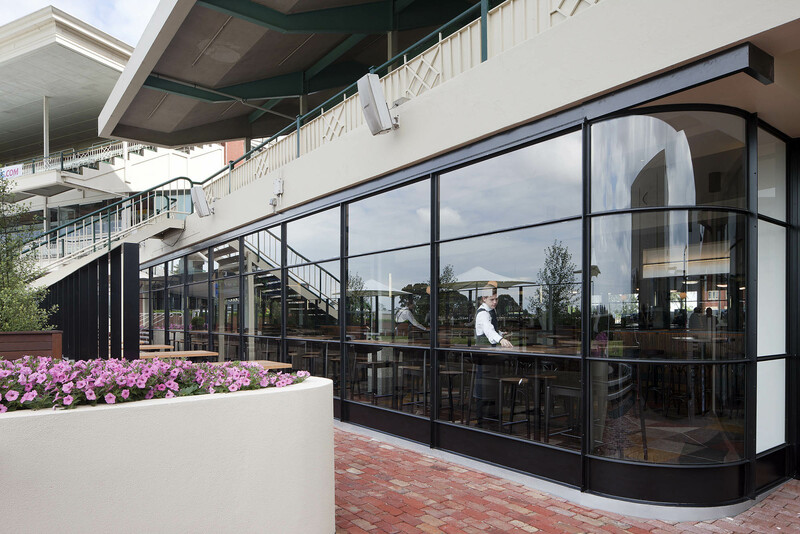 Upgrades were delivered to the member’s facilities and public arrival breezeway deck, and a contemporary stand-alone pavilion was constructed at the finish line. 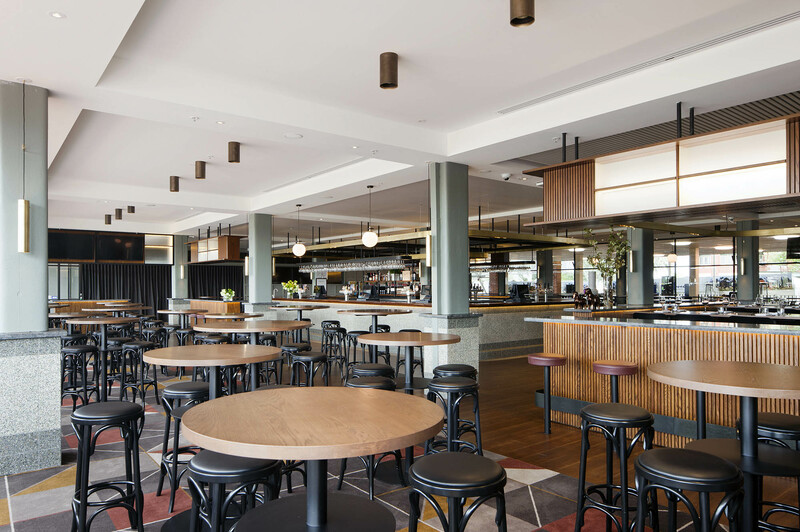 Schiavello completed heritage restorations, fitout and additional new buildings to bring the Village Belle Hotel into the 21st Century. Plans for a new bar, restaurant or cafe?